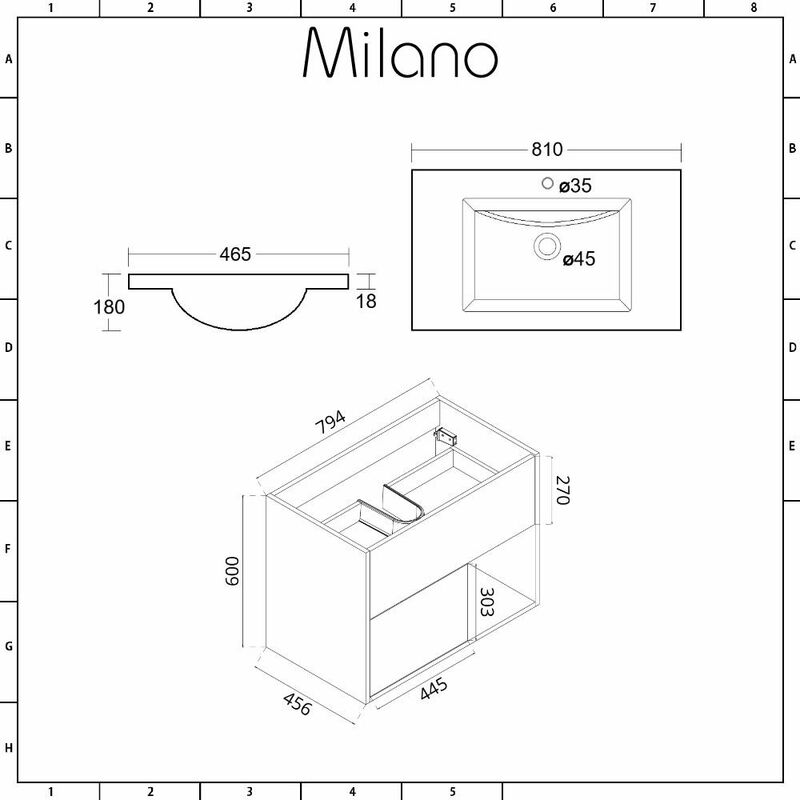 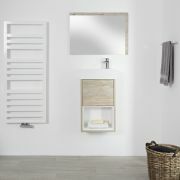 Inject a contemporary new look into your bathroom with the wall-mounted Milano Bexley 800mm vanity unit and basin. 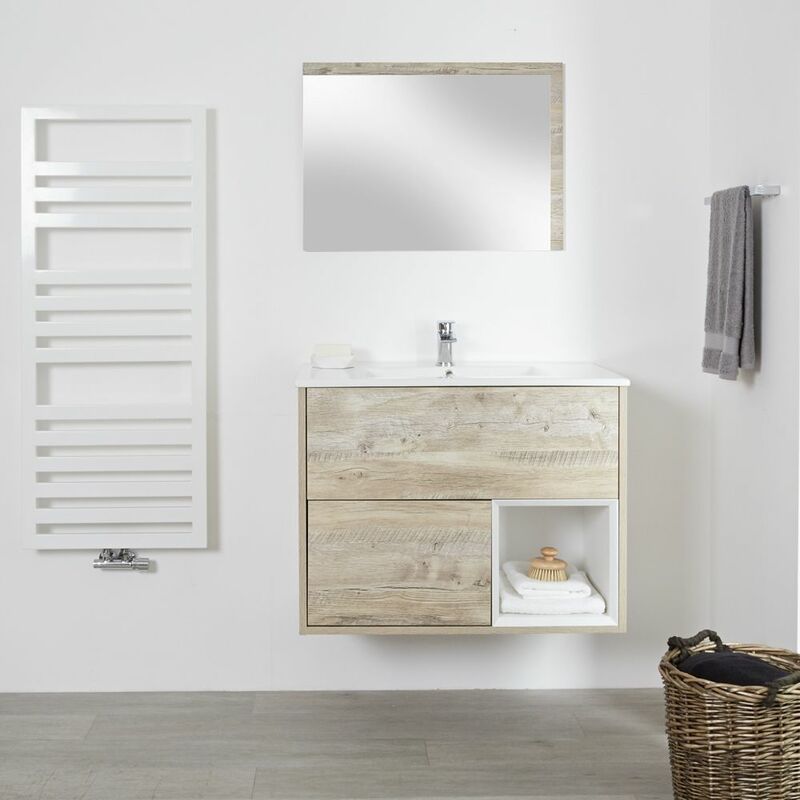 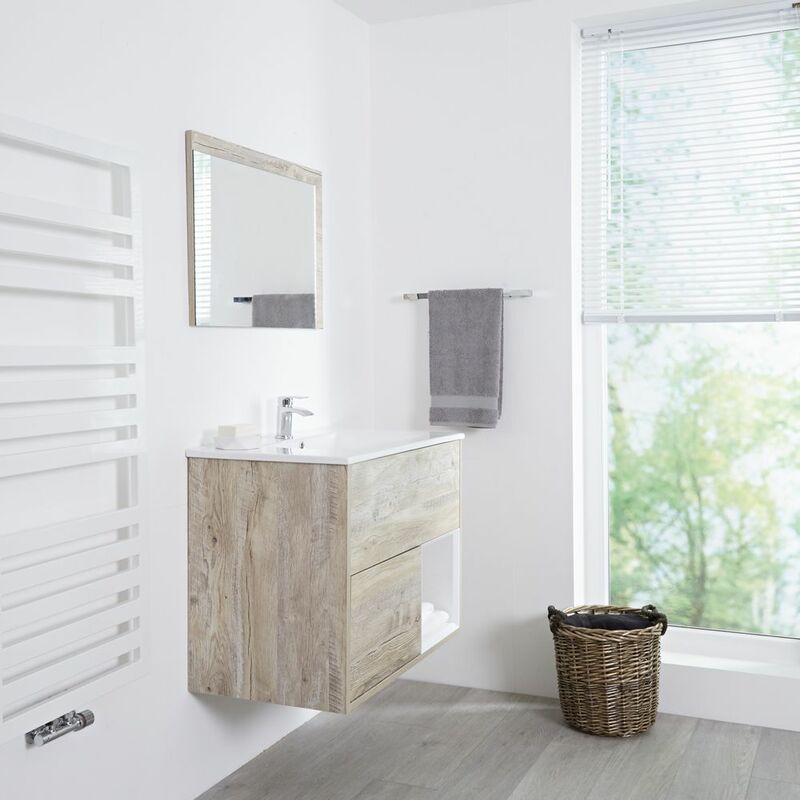 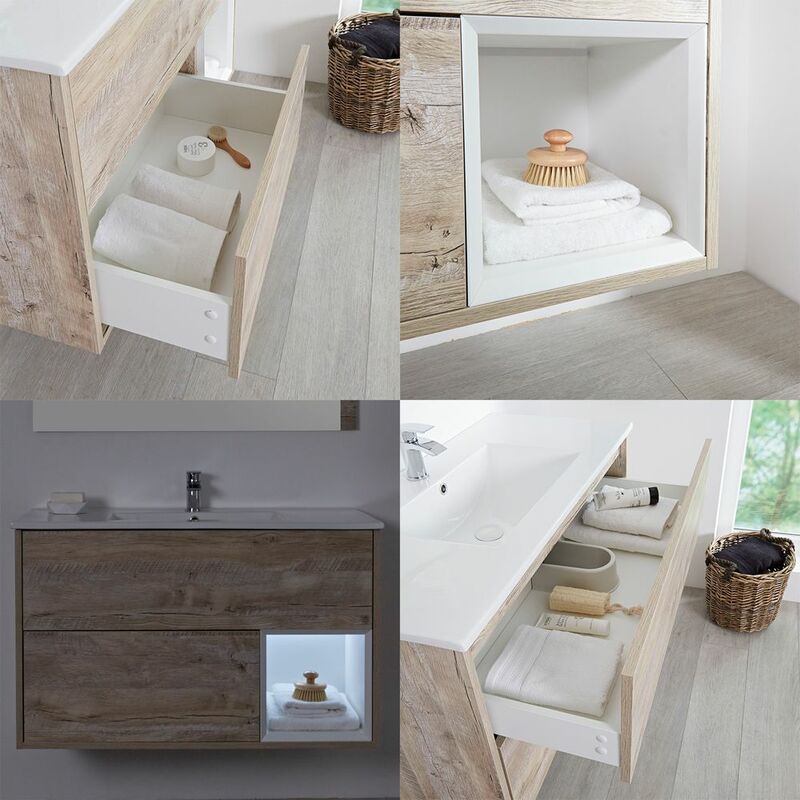 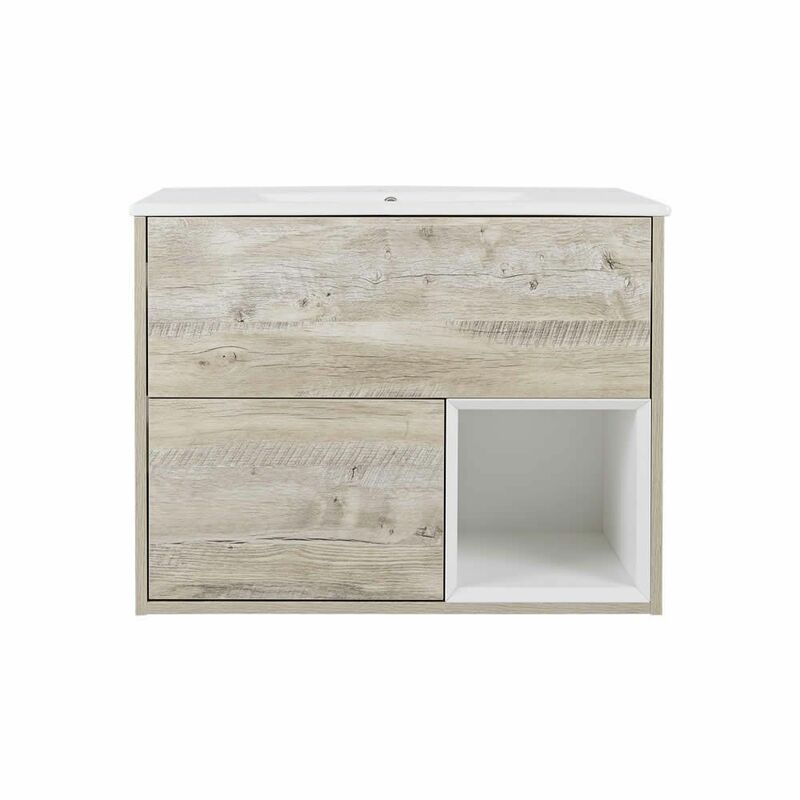 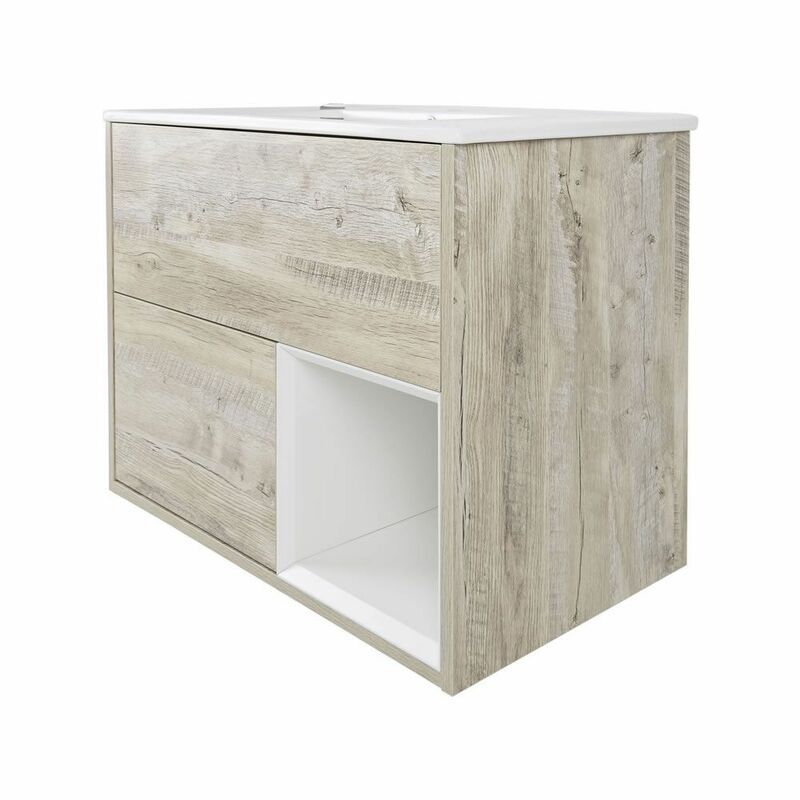 Made from hard-wearing moisture resistant engineered wood and finished with an attractive light oak woodgrain finish for long-lasting durability, the Bexley vanity unit offers a stylish storage solution for your bathroom courtesy of two push to open soft close drawers and an open shelf. 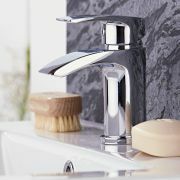 The modern effect is complemented by a high quality ceramic basin with an easy to clean white glaze and a single tap-hole, allowing you to choose from our range of mono taps to match your taste. 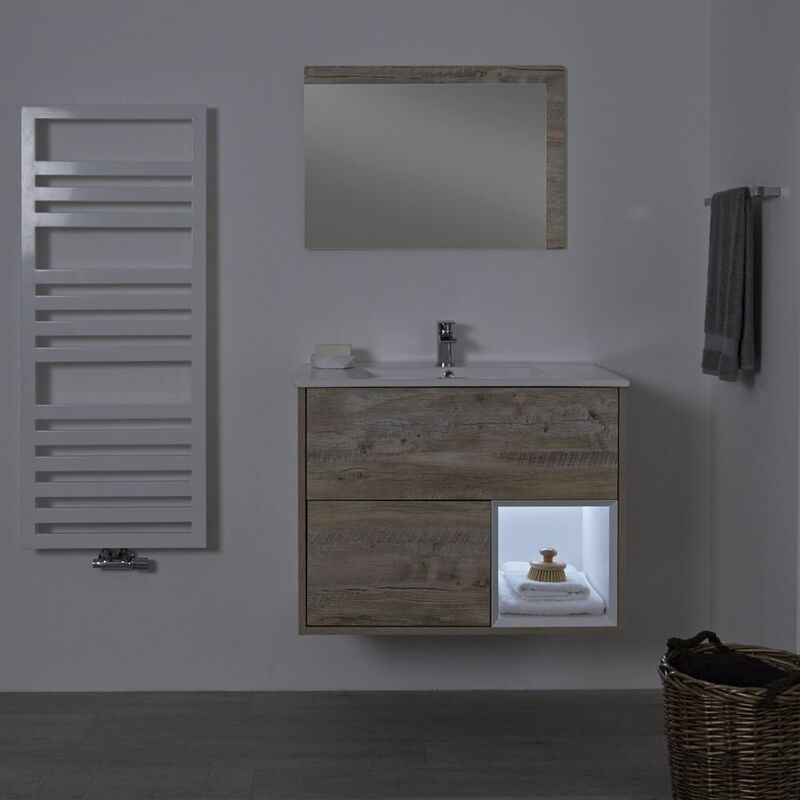 Further enhance the elegance of the vanity unit by choosing the optional LED strip light to stylishly illuminate the shelf and its contents - simply select the LED option from the dropdown menu above.